Ryan P. Fountaine, PGA is the fourth Director of Golf in 70 years for Baltusrol, following in the footsteps of PGA Master Professional, Mr. Doug Steffen, PGA. Baltusrol Golf Club, host of several U.S. major championships including most recently the 98th PGA Championship last July, has selected Ryan P. Fountaine, PGA, to be its next Director of Golf. Fountaine succeeds Doug Steffen, PGA, under whom he previously served as an Assistant Professional at Baltusrol from 2010 to 2014. Fountaine returns to Baltusrol Golf Club from Arcola Country Club, a private, member-owned golf club in Paramus where he has been the Head Golf Professional since 2014. Earlier in his career, he served as Assistant Golf Professional for Old Sandwich Golf Club in Plymouth, Mass. 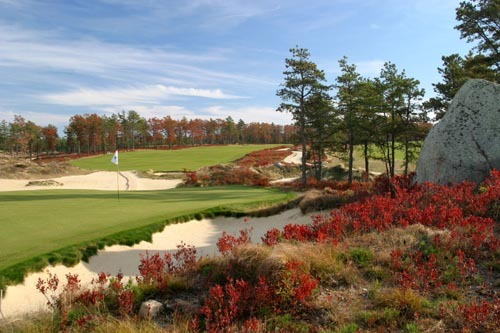 ; The Dye Preserve in Jupiter, Fla.; Red Tail Golf Club in Devens, Mass. ; and Binghamton Country Club in Endwell, N.Y.
Fountaine earned his Bachelor of Science degree in Business Administration with a concentration in Professional Golf Management from Methodist College in Fayetteville, N.C.,in 2002 and earned his PGA Class A certification in 2007. He currently sits on the Board of Directors for the New Jersey PGA Section and has served on the New Jersey Golf Foundation Board since 2015. The national search that led to Fountaine’s selection was led by a selection committee comprised of dedicated and vested Baltusrol members, and conducted by DENEHY Club Thinking Partners, the leading search and consulting firm for the private club industry. More than 100 talented PGA Professionals were considered but ultimately Fountaine was hired for his passion for the game and business of golf as well as his experience and deep understanding of Baltusrol’s unique culture and traditions. Baltusrol Golf Club, synonymous with championship golf, sits at the base of Baltusrol Mountain in Springfield, New Jersey, only a stone’s throw from New York City. 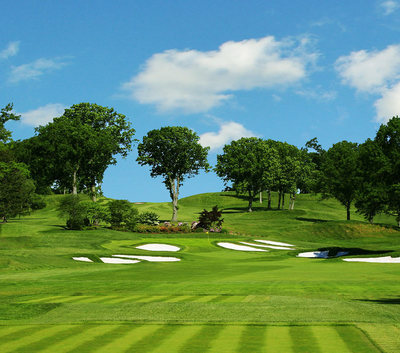 With a rich heritage that dates back to 1895, Baltusrol is considered one of the country’s premier golf clubs. Its two championship courses, the Lower and Upper, have played distinguished roles on the national golf stage since their creation by Golden Age architect A.W. Tillinghast. Over its 120-year history, Baltusrol has hosted 17 major championships, including the PGA Championship for the second time in July 2016. Recognizing its historical significance and place in the world of golf, the National Park Service designated Baltusrol a National Historic Landmark in 2014.